Life is a collection of memories and our goal is to provide you with an opportunity to create new and wonderful memories with your friends, family and possibly new friends you have yet to meet. I was introduced to paella over two decades ago on a little island off the coast of Spain. I learned how to cook the paella by watching an little elderly woman make the dish every Sunday afternoon. She was so passionate about the ingredients that she used and how she made the paella, it was absolutely captivating. Just as generations of people before me learned, I watched her preparing the chicken and sausage. I watched as she cleaned the fish, prawns, and shellfish. She even let me let me light the fire to cook the paella. She showed me why it was so important to use the proper type of rice in the paella. I didn't speak any Spanish and she didn't speak any English, but we seemed to understand each other and our goals. I wanted to learn how to prepare this wonderful dish and she wanted to pass her knowledge on to the next generation. I was so moved by her passion for the dish I decided I wanted to share her passion with you. "Simply put, use the best ingredients, treat them with care, take joy in serving your guests and you will live a fulfilling life. Santé!" Fire and Rice is fully licensed and insured. Our commercial kitchen is located in downtown Naples and our reputation with the citizens of Naples and Southwest Florida is unmatched. Chef Paul Schmidgall graduated from Johnson and Wales with a degree in Culinary Science and Marketing, he also has an MBA in International Business from the University of Phoenix. He is an Air Force veteran, having served in Desert Storm and Desert Shield. 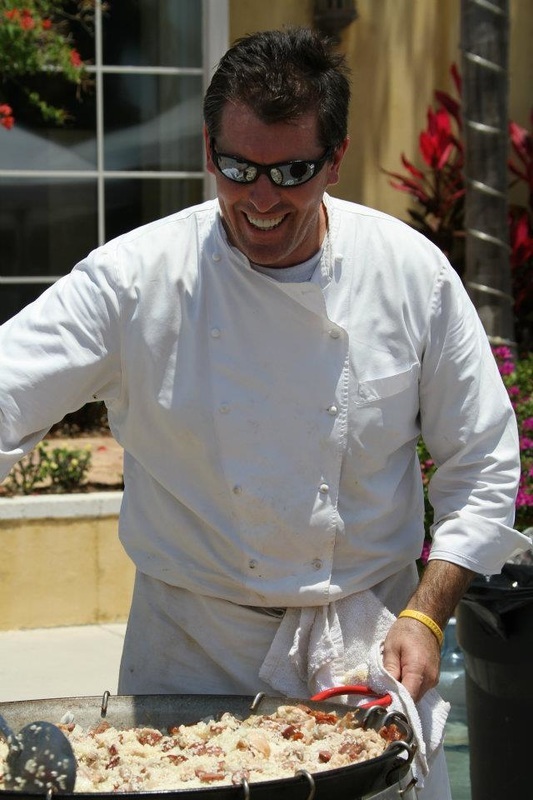 Chef Paul was recently awarded a Paul Harris Fellow as a member of the Naples North Rotary. You can trust Chef Paul and his team.